The referendum that Alexis Tsipras announced in the early hours of June 27, just days before the expiration of Greece’s rescue program, was from the very beginning a dangerous gamble with little chance of success. His main objective was to strengthen his position as far as his internal rivals are concerned — mainly the hardliners within Syriza who opposed a solution that would entail austerity measures — and his government’s negotiation tactics abroad. The referendum, announced hastily and featuring a fuzzily-worded question on the approval or dismissal of a text that was no longer under negotiation, divided the Greek people deeply and became the subject of heated debates. The clamorous 61% in favor of a “No” vote more accurately reflects people’s accumulated frustration over the ongoing hardship of five consecutive years, rather than an outright rejection of the common currency, as interpreted by the vast majority of the European leadership. What did the referendum achieve in the end? In terms of political outcomes, it magisterially fulfilled its first goal: Tsipras emerged all-powerful on the home front. The first tangible consequence of this was the resignation of Antonis Samaras, the former conservative PM who insisted on keeping his position despite his defeat in the January 2015 elections. Tsipras also became an icon of the international radical left and of those, both outside and inside Greece, who regarded the referendum as an affirmation of democracy and a repositioning of the popular factor at the forefront of politics, against elite decision-making. However, Tsipras’s position was essentially weakened abroad due to the abrupt abandonment of negotiations and the shock tactic of the announcement of the referendum. Greece emerged isolated and without allies. Syriza’s ardent desire has been to act as a catalyst of future developments in Europe, breaking the vicious cycle of austerity politics and the rule of ordoliberalism, thus becoming an Iphigenia of sorts whose role is to “save” the essence of the European idea. Naively idealistic, utopian, suicidal, opportunistic, or just brilliant? Or perhaps all of this in one? 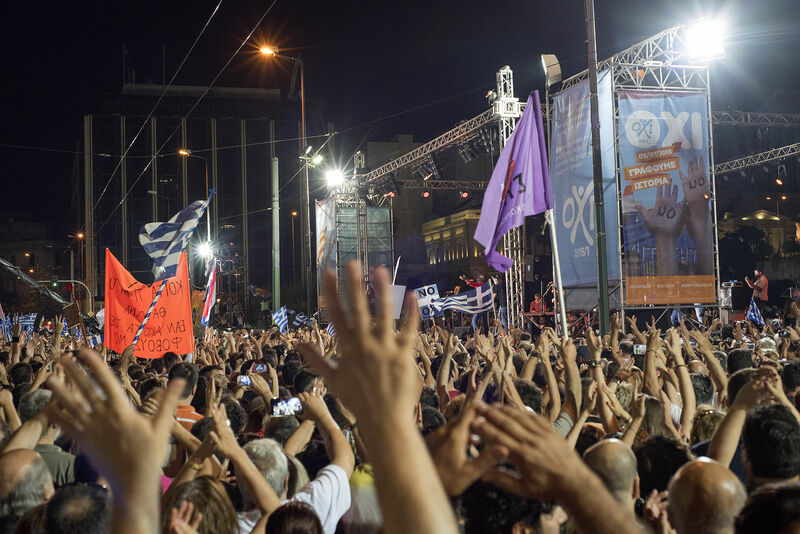 Will Syriza succeed or will it fail miserably, taking with it, unwillingly, other grassroots movements on the rise, such as Podemos in Spain, only a few months before the November elections? And, in the end, will it revive or will it bury European solidarity once and for all? For the time being the signs are not promising. But how was, in fact, the referendum interpreted in Greece? Initially, it was greeted with suspicion, especially after the closing down of the banks and the imposition of capital controls. However, that decision was gradually interpreted as a devious tactic of the foreign lenders to blackmail the Greek people via the European Central Bank (ECB). Martin Schultz’s desperate plea to Greek citizens on the day of the referendum to vote “yes,” as a “no” vote would mean a rejection of the Euro itself, also backfired: it was quickly seen as direct intervention in Greek internal affairs, attempting to boss, influence, and dictate the electoral result. This is strongly reminiscent of the direct appeals by then-European Commissioner Günter Verheugen to Greek Cypriots to vote “yes” in the 2004 referendum on the Annan Plan that would lead to a reunification of the island, which resulted in a similar boost of the “no” vote. 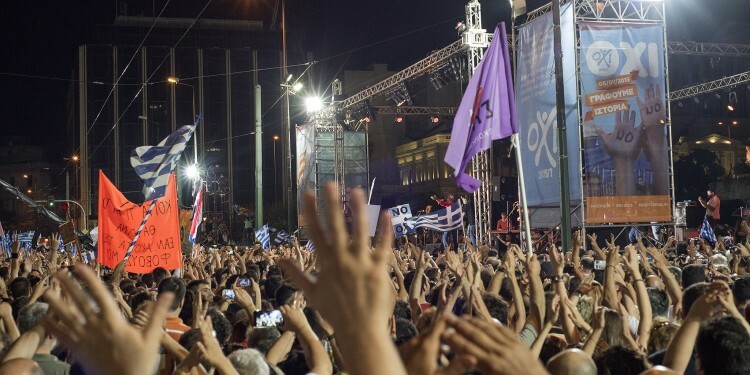 In the case of Greek voters it seems that the patriotic appeal of the government to the people’s pride and dignity, the portrayal of the European partners as culprits of all ills (including filthy tactics), and a propensity to act emotionally — encouraged by the Prime Minister himself in a populist appeal — were crucial factors determining the choice of the electorate. 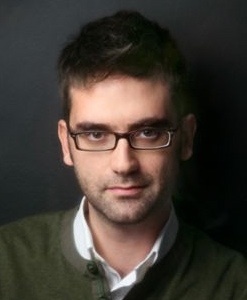 Greek historian Kostas Kostis interpreted the outcome of the vote as a confirmation that Greeks are clearly the enfants gatés of Europe — also the telling title of his popular book on modern Greek history. Niall Ferguson, the renowned conservative Harvard historian, went as far as to parallel Syriza and Alexis (Tsipras) to Alex — just note the coincidence — and his Droogs in Anthony Burgess’s dystopian masterpiece A Clockwork Orange, in which a group of violent young bullies demand to have it all. Columbia historian and Modern Greek specialist Mark Mazower, on the other hand, spoke of stubborn resistance tactics that are reminiscent of the youthful opposition against the Colonels by Greek students in 1973. In an article titled “Occupy Greece,” Leonid Bershidsky, a Bloomberg columnist, even cited my own Children of the Dictatorship in an attempt to highlight the genealogy of a protest repertoire dating back to the 1970s, involving occupation tactics, which he compares to the current events that led to the referendum. Finally, historian and former activist of the 1960s Antonis Liakos paralleled his own harsh experience as a young man during the Junta years in Greece to the intransigence of Europe at present, rejecting Europe’s “take it or leave it” project as a strong resemblance of authoritarian Greece at the time. But the constant analogy between Syriza and youthful radicalism goes beyond historians and journalists. Infantilizing Greeks could be a skillful tactic for their opponents to employ in undermining their credibility. Witness the turn of phrase of IMF President Christine Lagarde, who characteristically said that she wanted to negotiate “with adults in the room.” Another way of framing this is as passé radicalism of the 1968 era; the idea is that if the time of youthful radicalism was back then, in the “long 1960s,” now is the time of political maturity, regardless of one’s age. When Daniel Cohn-Bendit came out strongly in favor of a “yes” vote in the referendum, he was introduced by the centrist Greek media as “someone who knows a thing or two about radical politics” — but apparently radical politics of the past and not the present. The third way in which youth is used as a negative marker is connected to the fact that Tsipras himself is much younger than most of his counterparts in the European arena, with the exception of Italian PM Matteo Renzi. Notably, he is often described by his opponents in Greece as a schoolboy, and the age criterion is invoked to undermine his trustworthiness and capacity of judgment. Moreover, it is no coincidence that the overwhelming majority of young people aged 18-24 voted “no” (85%). It remains to be seen how this battle between youth and age, emotion and reason, pragmatism and utopia, will end up. Tsipras came in on a platform based on renewal and hope. But the distance between hope and despair can be extremely short if the hardliners of Europe refuse to give him (and Greece) another chance, putting acrimony, disbelief, and distrust aside. The government, on the other hand, will have to leave its internal squabbles aside — but even so, it might find it too hard to strike a fair and just deal to secure a much-desired debt haircut, as it persistently demands. A compromise deal seems equally difficult after the overwhelming majority of Greeks blatantly rejected austerity. Syriza hardliners rejoice on the eventuality of a return to the drachma, as do the hardliners within the EU who see “Grexit” around the corner. Greek voters might soon taste the bitter results of voting as radical youngsters in an Old Europe. Professor of European and Mediterranean Studies at New York University.